3 days from £545pp plus international flights. This itinerary will take you off the beaten track to discover Sajama National Park and all it encompasses. Starting in La Paz, this tour through Sajama will showcase some stunning scenery and will take in one of the most successful community projects in Bolivia. From Tomarapi Eco-lodge, you will be able to see archaeological and historic sites as well as discovering the flora and fauna of this region. The colourful Inca chullpas (burial towers) are rather impressive too, and it's very interesting to learn their significance, but we'll leave that to the local guides to explain. 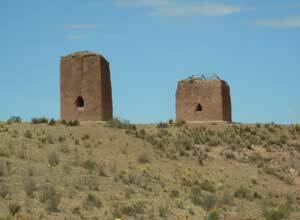 Hike through the Polylepis forests and travel on to the vast plains where llamas and alpacas roam. A visit to Caripe village will provide an opportunity to meet the villagers and see how important the llama and alpaca wool is to them. There may also be time to visit a local school. If class is in session, the pupils love to receive visitors and are most welcoming. As well as seeing local village cultures you will also have the opportunity to admire the scenery, the beautiful lakes and the wildlife they support. You are likely to get sightings of flamingo, crested ducks, woodpeckers and perhaps small falcons and eagles, all with a beautiful scenic backdrop in this remote Bolivian landscape close to the Chilean border. This itinerary starts and ends in La Paz and is easy to add on to your itinerary as an extension. 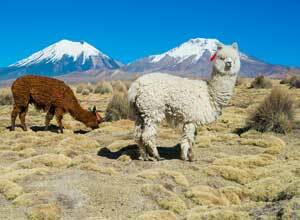 Sajama National Park, an area of enigmatic beauty, shares a border with Lauca National Park in Chile. 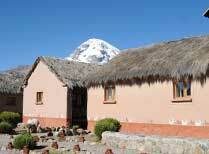 A community-owned and run lodge with simple en-suite accommodation and hearty home-cooked food in Sajama National Park. 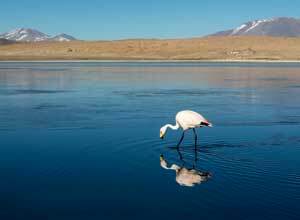 Start planning your tailor-made holiday to Bolivia. Tell us what you want, and we will tailor make your perfect trip.  Health: Yellow Fever vaccine should be given to travellers 9 months of age and upwards if travelling to areas below 2,300m east of the Andes Mountains. These areas include the whole departments of Beni, Pando and Santa Cruz, and parts of the Chuquisaca, Cochabamba, La Paz and Tarija departments. No other vaccinations are compulsory.